M.A (Applied Economics) with specialization Agricultural Economics Dept. of Applied Economics, Andhra University, Visakhapatnam 1968. 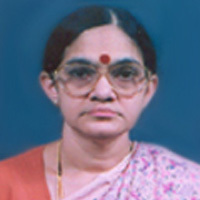 Swarna S. Vepa, “Role assigned to women by Development advocate`` - Implications to Gender Equity”, Paper Presented at the “National Seminar on Development Issues”, organized by Nizam College, Osmania University, Hyderabad on 23-24 June 2006, and published in “Development Issues, edited by Prof. Vijayalakshmi Reddy, Department of sociology Nizam College, Osmania University, 2007 Hyderabad. Swarna Sadasivam Vepa and Ruchita Manghnani, “Rice production and Rice markets,” in the book Rice in Indian Perspective, Book edited by S. D Sharma and B.C. Nayak 2005, Today and Tomorrow Publishers.